"I am writing this letter of recommendation for Ann Grana. I found her to be consistently pleasant and energetic in all my dealings with her. Besides being a joy to work with, Ann is a take-charge person who is able to present creative ideas and communicate the benefits. In addition to leading effective training modules for sales representatives, she is great at inspiring and motivating other employees. I highly recommend Ann's services. Her unique skills and zest for what she does would make a great asset to any organization." AMG Group can provide solutions to assist any office at any stage of an electronic medical records conversion. For the office just starting this “journey” we have bar coding solutions to prepare your charts for a smooth transition, and scanning services to ensure the proper contents of the paper chart are imported into your EMR, thus allowing for a very smooth “go live” which is imperative to the success of your transition. 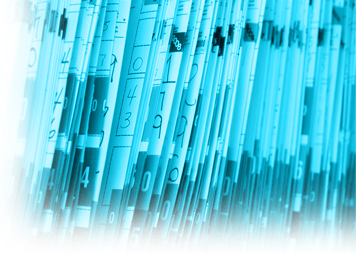 We offer document management solutions for non-medical records not typically imported into an EHR, and can truly help make your office “paperless”. We also can provide secure on-site and off-site back-up and disaster recovery services, and assist with your billing and credentialing needs. We also have a large network of trusted referral resources for services we do not directly provide, and are happy to make valuable connections.